Arizona housing market fueled by luxury real estate investments. You’ve got the power if you’re considering the purchase of a luxury home in Arizona. As a luxury home buyer, the power of the real estate market is in your hands when you have a Scottsdale luxury real estate exclusive buyer broker by your side. 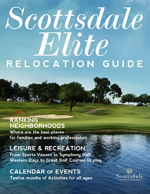 So far in 2014, the luxury Phoenix housing market indicates that luxury homes in metro Phoenix including Scottsdale luxury homes are doing better than the more affordable housing market. In December 2013, 314 luxury homes priced above $500,000 were under contract. In February 2014, Mike Orr, the director of Real Estate at Arizona State University, reported the amount of luxury homes for sale up 24 percent from a year ago. The report includes Biltmore, Arcadia, Scottsdale and Paradise Valley with currently 2,445 high-end homes for sale on the market. It’s true. Whether it’s a first time luxury home purchase or the fifth, a gated community home or other specialized property, exclusive Arizona buyer’s agents has the expertise to make your luxury home purchase a perfect fit and a premium investment.